Here's another post I forgot to publish. Why am I not surprised? 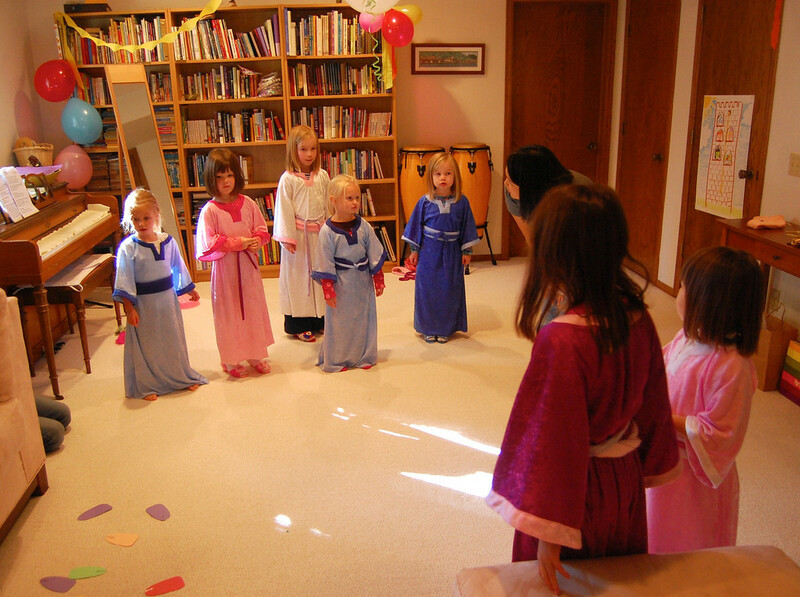 I've blogged about almost all the elements of Jenna's Rapunzel Party in previous posts, so this is just the formality summary, with some in-action pictures. Since it was an indoor party, the lighting was dungeon-esque. Quite fitting though, given the theme. Here are two more crafty-type handmade parts of the party that didn't get their own post. 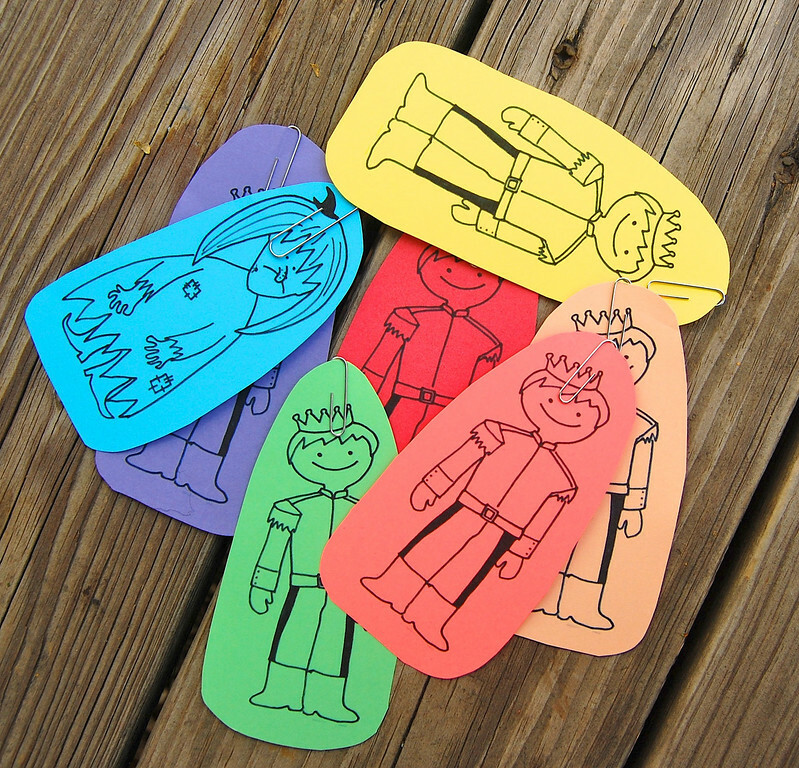 First is the Hopefully Pin The Hair On Rapunzel game, that my kids seem to think is a staple at parties, in theme-appropriate form. We drew the poster the night before the party when Jenna was too excited to fall asleep. I let her stay up with me and tell me what sort of poster she wanted drawn. 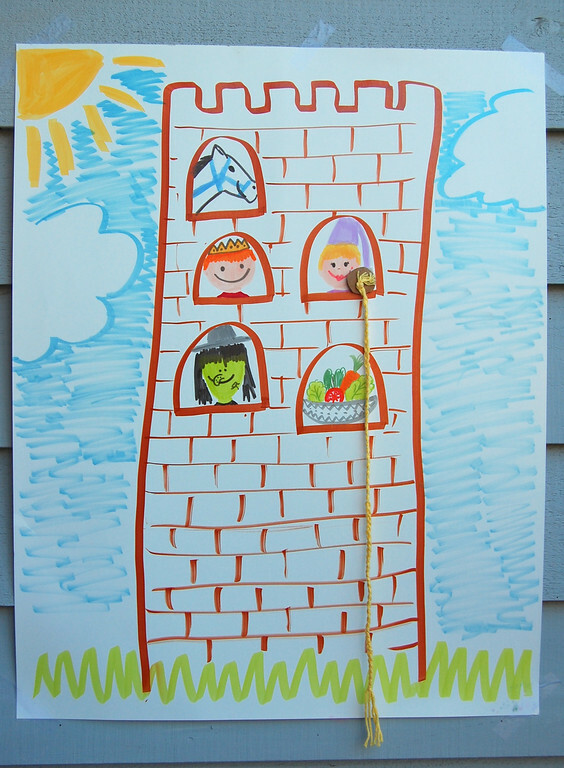 We did five windows with the Prince, Rapunzel, the Horse, the Witch (again, silly rather than scary) and The Salad. 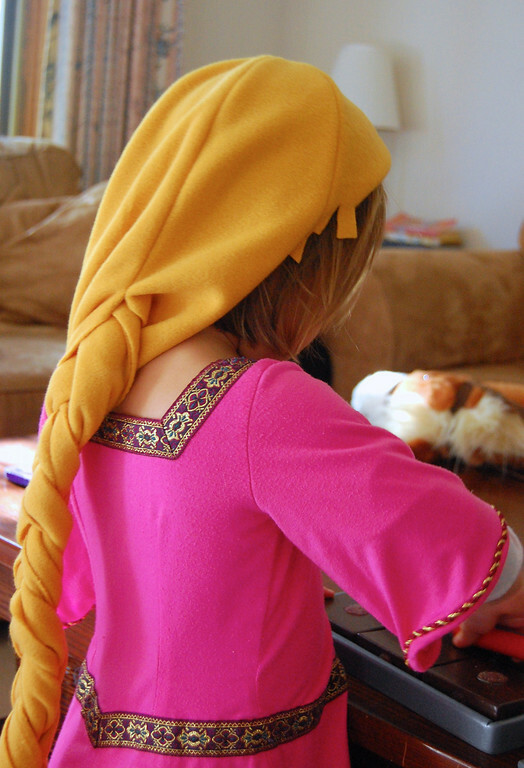 Grandma braided a plait of yarn to stick onto Rapunzel. 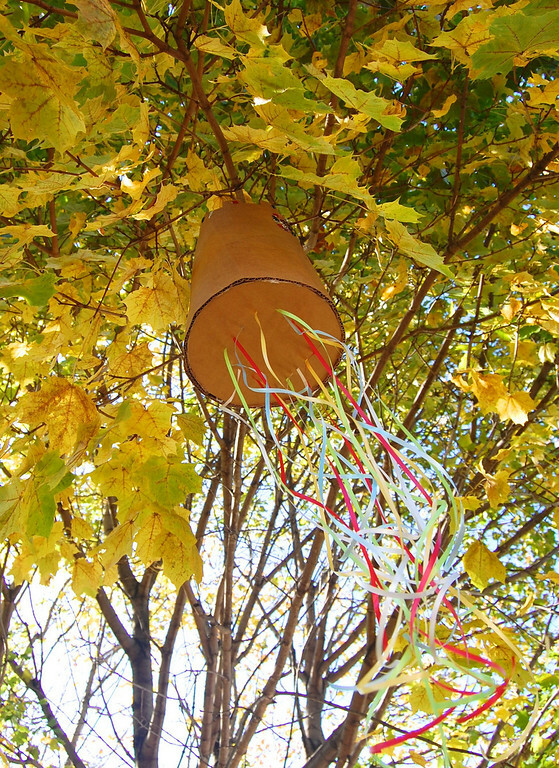 Second is the craft the kids did when they first arrived. 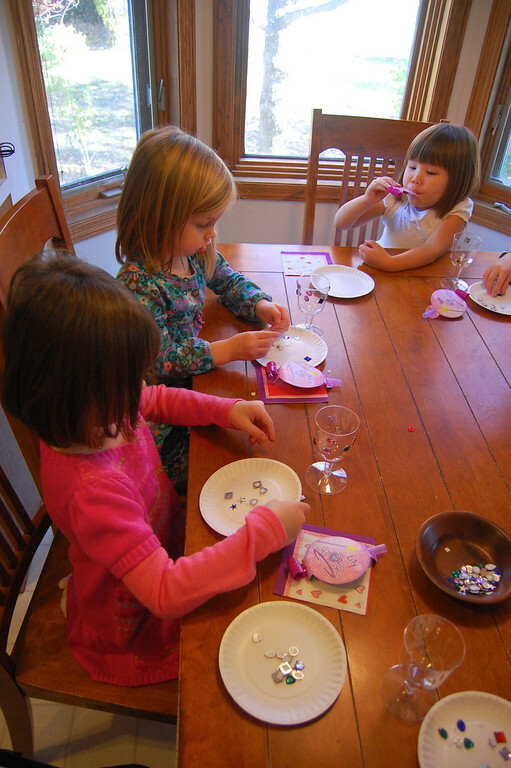 Here they are decorating plastic wine glasses aka Medieval Goblets with self-adhesive gems. When they were finished, they got to drink white wine (apple juice) out of them. Now that we have three children who are of Birthday Party age, I'm forseeing a lot of themed birthdays in the next few years. Since I like lists, I thought I'd make a new section in my sidebar listing them, for your easy reference. 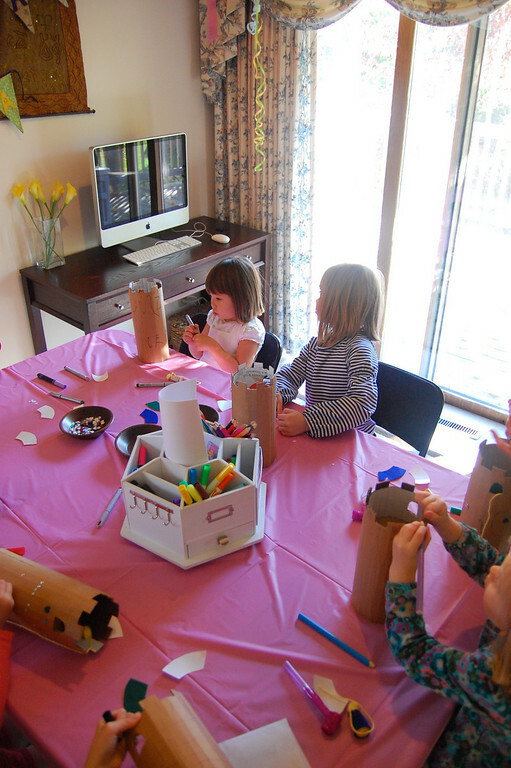 Not saying you need to do parties in the same manic way I do ours, but just in case you want to use some of the ideas therein for regular crafts of your own. I'll link each theme to the respective Overall Party Posts (like this one), which will then have links within them to take you to the different elements of each party. I know, I know - I'm so Type A.
lovely job... 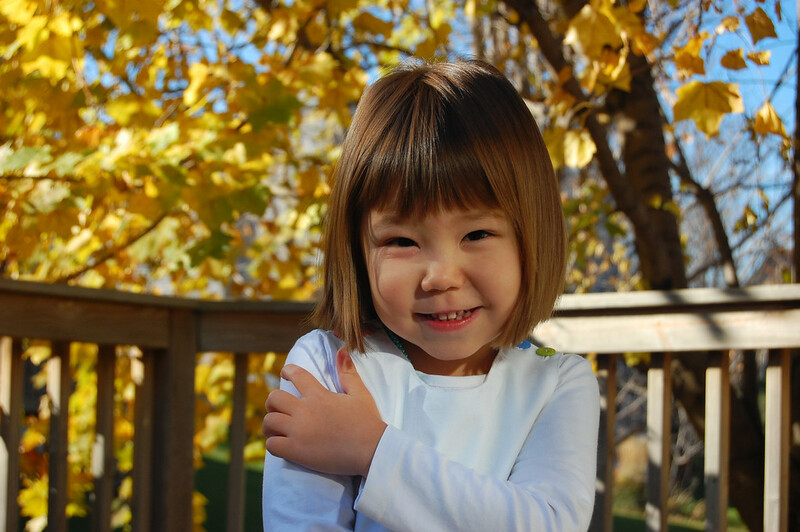 I made my almost 3 year the dress and the wig and it was a HUGE hit. Thanks for sharing. I will be making another for a dress up box Christmas gift. I love everything about this shin dig. Those jewelled goblets are such a fun idea! Thank you for lots of wonderful ideas. 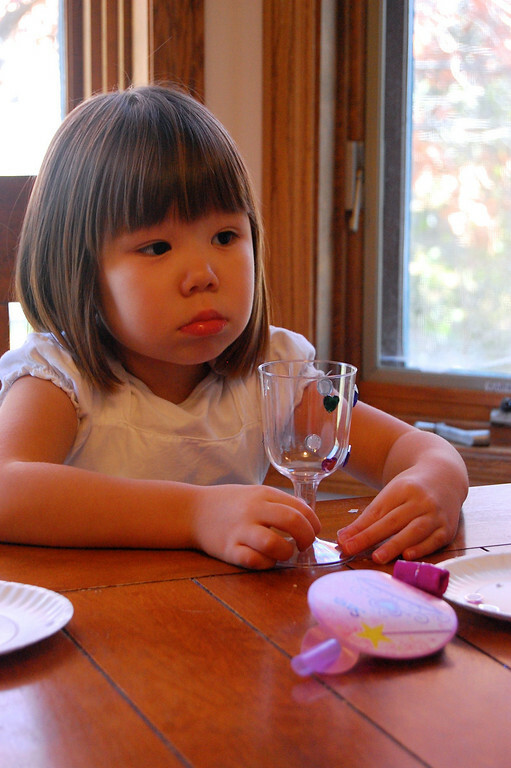 KJ: Those jewelled goblets were actually an idea from an old issue of Family Fun (or maybe it was Parents) magazine. 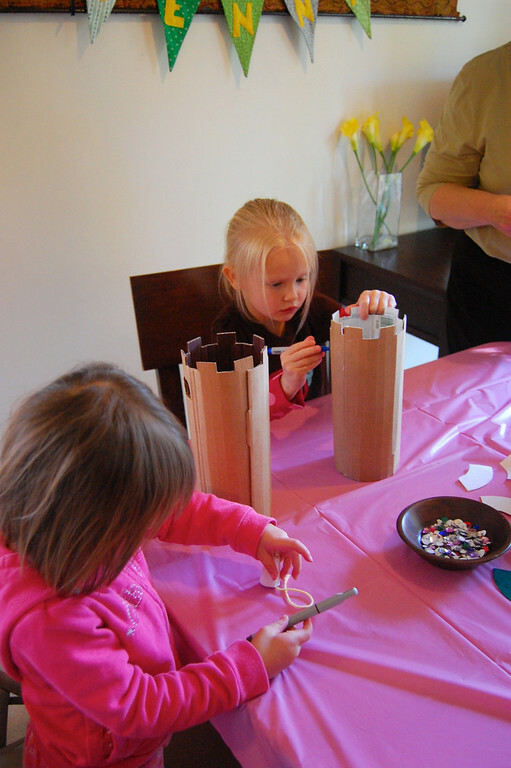 It was one of the crafts for a medieval-themed party they featured. 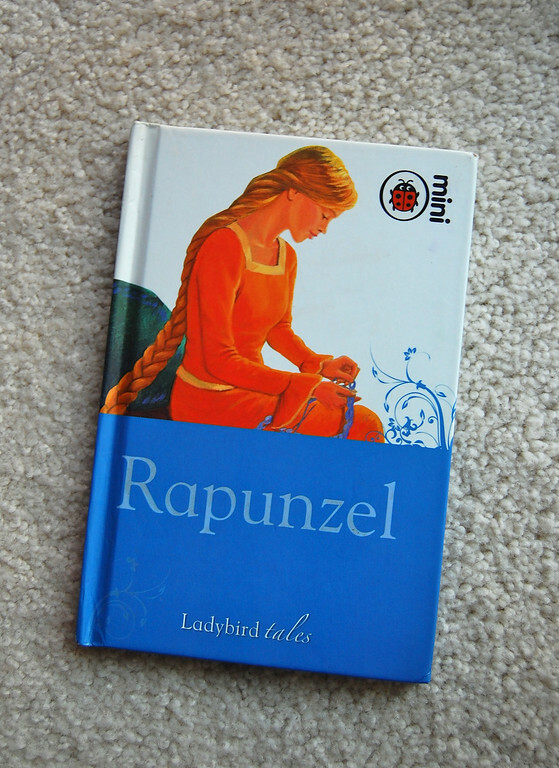 Can't remember the issue or even the year, but I thought it was great because it was do-able for even 2-3 year-olds. We did decorations over at www.recessionhome.com and had great fun making pennant chains. Thanks for the inspiration, and those wigs are FANTASTIC! !